Come to Abacus Dental Studio and meet the owner, Paul Moorcroft, RDT,CDT,RSC,Eng., a clinical dental technologist. Paul has over 35 years of experience in providing new dentures and denture repairs. He gained his Diploma in Clinical Dental Technology in 2011 and is registered as a Clinical Dental Technician (CDT) with the General Dental Council (GDC Number 153188). Paul has run his practice in Theale for the past 30 years and has gained a reputation for great work and outstanding customer service. A Clinical Dental Technician is an individual who deals specifically with denture construction. Previously known as Dental technicians or Mechanics, CDT’s are a recent addition to the Dental Team. CDT’s can undertake every step in the construction of a denture from the first impression through to the final adjustments. 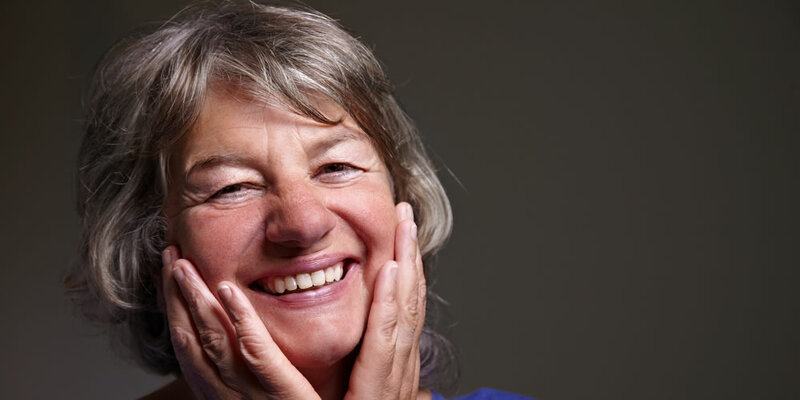 For patients who have lost all their existing natural teeth, this service is ideal as you will receive a one-to-one service with the person who will construct and manufacture your denture. For those patients who have retained some of their natural teeth (partial denture wearers), a signed prescription from your dentist will be required. Alternatively this can be arranged with one of the number of dentists that I work with. This requirement is to justify the suitability of the remaining teeth for a partial denture. "Just a word to give thanks for making me a very nice set of dentures." "I had almost given up on getting any as I am house bound, when I saw your advert. So pleased I called as within weeks I now have a nice set of teeth, and all without having to leave my home." My friends all say they look very nice, so it's miles of smiles now. I enjoyed the informal visits and the banter. Thanks again." "Just a few words to say thank you so much for giving me my smile back. I would not have any hesitation in recommending you to other people, your patience, kindness and professional manner made it so much easier for me." "As I said at the time, you are up there with God to me." 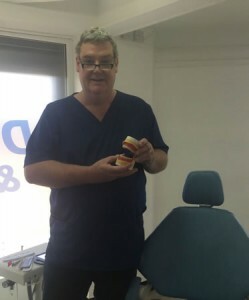 Come to Abacus Dental Studio and meet the owner, Paul Moorcroft, a clinical dental technologist. Paul has over 35 years of experience in providing new dentures and denture repairs. He gained his Diploma in Clinical Dental Technology in 2011 and is registered as a Clinical Dental Technician with the General Dental Council. "I have chosen to go to Abacus Dental Studio because I have had some bad experiences with dentists in my life, starting at the age of eleven. When I needed to get a denture some years ago, I chose Abacus at the time and received great service. This is why I am having new dentures with them now. A dentist is trained in other things, at Abacus they are there to work with dentures, and I would recommend them to any of my friends." Disabled access on ground floor.